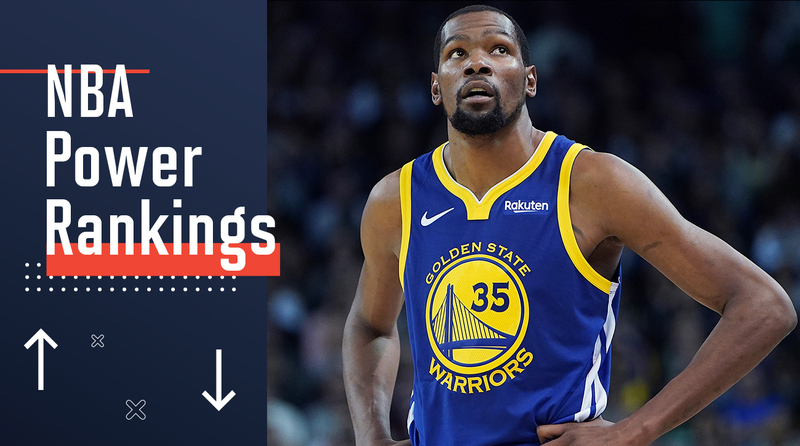 In the latest edition of power rankings, The Crossover hands out superlatives and spotlights some players who likely won't get the recognition they deserve. For this week’s Power Rankings, I wanted to take part in one of my favorite end of the year traditions across all walks of life. So we’re handing out superlatives for each team, highlighted by the guys who I picked to make fourth team All-NBA. 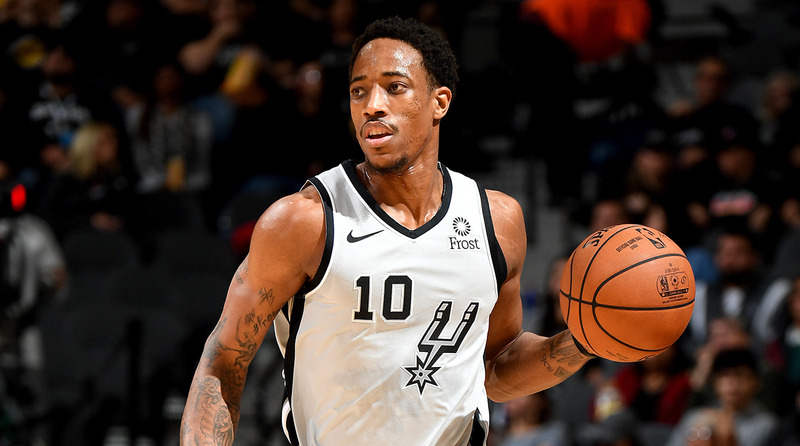 The fictional award is meant to shine the spotlight on some players who likely won’t get the love needed to make a real All-NBA team, but have been deserving this season. Gotta love when there is too much talent for great players to get all the love they deserve. We all know that similar to the Lakers, the Knicks were just playing this season in out in hopes of becoming special in the offseason. Well, Zion Williamson is done playing basketball at the college level and he’s the first piece New York is hoping to add this summer. If they land him, this season was worth it. If not, you got to pray that a certain two-time Finals MVP really wants to play in New York or else there might be a fan revolt. It’s not that Devin Booker is posting empty stats because he’s just the best player on a bad team and gets the greenest light. His numbers are useless because the team was constructed poorly and there’s only so much one man can do. He was forced to play point guard this year because the team just didn’t get one in the offseason. Hopefully this won’t be the case for too much longer. The Cavaliers have spent the entirety of LeBron James’s career being in his shadow. When he was drafted by the team. When he left the team for Miami. When he came back from Miami. When he left again for Los Angeles. Breaking away from a few players who were brought in during James’s tenure to start crafting a roster for the future will be a big step forward in the Cavaliers becoming more than just that team LeBron used to play for. A full training camp under Jim Boylen along with Lauri Markkanen and Otto Porter there for camp should lead to this team coming out much stronger next season. This plus all the growth this young team can naturally make has its future looking promising. When Elfrid Payton went down at the early in the year, it seemed like the type of injury the Pelicans could survive if they were going to be a playoff team. But sure enough, here we are with New Orleans nowhere near the postseason and Anthony Davis three-fourths of the way out the door. Imagine if Payton was racking up triple doubles in November and December instead of rocking street clothes to the arena. I understand that there was a lot more love between Jimmy and his former teammates than there was between Jimmy and the fans, but Saturday’s contest is one that could have been a celebration after a lackluster season. Now we just hope the new playoff drought doesn’t last as long as the one Jimmy came to town to break. I hope everyone got their jokes and hot takes off while they could, because next season won’t offer as many opportunities if the Lakers can bring in one more All-Star. We didn’t get the best of LeBron in his first season in LA. But what we did get was still completely remarkable and we are considering this a down year. What level do you think he can play at when he has more talent around, teammates he’s more comfortable with and a more realistic chance at winning a title? Despite the strong push over the last two weeks, the Hornets are all but out of the playoff race. Which means the focus shifts to keeping Kemba Walker around to maybe make the playoffs next season. If Kemba leaves, Charlotte basketball will become less relevant than we ever imagined barring another major addition. But if he stays, maybe he can bring somebody else to help him take this team to new heights. At the very least, he can keep them in contention in a way that never could be without him. Putting up big numbers on a bad team will always earn some level of skepticism, but Bradley Beal has shown before that he can produce as the second-most important player on a playoff team, and this year he showed just how much more he can do with a bigger workload. Like Devin Booker, there’s probably plenty of people who look at what Beal has done this season, particularly since John Wall went down, and see it as nothing more than what happens with the best player on a bad team. But that’s not what this is. This is an All-Star coming into his own and demonstrating just what more he can do when given the opportunity. Not every player can uplift the team around them. And considering how the Wizards were built and how many injuries and roster moves have been made, there’s not much more Beal could have done for this team. His raw production could have been good enough to steal a third-team spot in many years, but since he played in a situation where folks had no reason to ponder his playoff potential, he likely won’t get the love for what he did this year. Outside of Mike Conley and Chandler Parsons, this is practically a whole new team from two seasons ago. And with speculation that Conley is going to be traded, it will truly be a completely new era in Memphis sooner or later. Hopefully all of this change will be for the better sooner rather than later. I say this because I’m super high on what the Kong’s can become as seen by Sunday’s win in San Antonio if this entire season wasn’t enough of a statement for this team’s future. 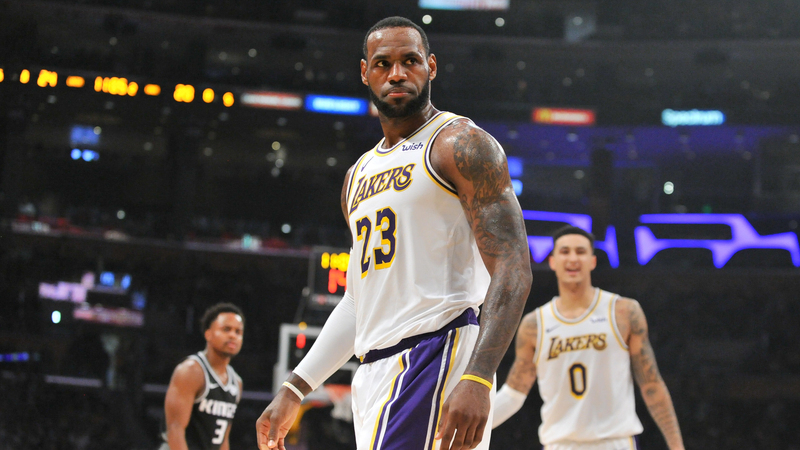 But, something about the Kings has me feeling like they are the young team everybody will get hype on and talk about is coming for the playoffs that then just doesn’t meet expectations throughout the season. I’ve never wanted to be more wrong about a gut feeling in my life. They have two legit shooters, an athletic and electrifying post presence and one of the shooters can pass out dimes at will. The highlights will be spectacular as time wanes on and these three grow together even more. Before Victor Oladipo was hurt. Since he was hurt. Really, all season people kept finding reasons to give up on the Pacers. The season should end in the first round against Boston, but if they can still Friday’s matchup, it might be a sign of things to come. It’s always darkest before the dawn, and it’s been pretty dark in Indiana recently. Things just keep getting worse in Oklahoma City every time you think the Thunder might find a way to stop the bleeding. If they re-signed Paul George and got another triple double season from Russell Westbrook just for the season to end in the first round again, it will feel like Donkey Kong threw a wind-up punch right to the face. But maybe the defense remaining at a high level will be a saving grace. Most of these teams are getting weighed down by terrible defense. Thunder's defense has taken a step back but is Top 10 in Def. Rtg since ASB. It just as likely this team wins the East or loses to the Pacers in the first round. I’m not sure exactly what we should expect from the Celtics in the playoffs besides one or two big games from Kyrie Irving. But with the way this team goes, Kyrie going full Uncle Drew in April might end up being part of the problem in the end. I’ve given up trying to understand the Celtics. The man who also won the award for “Most Likely to Be Confused With Sub Zero” is also on the list of players likely to just miss out on All-NBA recognition. In a breakout year, D-Lo reminded the world of all the elite potential people saw at Ohio State and made Lakers fans think about “what if…” all season long. His job still isn’t quite done, as the playoffs still aren’t a lock for the Nets, but assuming they do get the necessary wins to finish in the top eight, this season will be one we all remember for a long time. At different points in the season Brooklyn lost its two other lead guards in Spencer Dinwiddie and Caris LeVert. But through all the turmoil, like the eight-game losing streak in November, D’Angelo Russell pushed this team to persevere. He’s got plenty more All-Star nods coming his way and even more opportunities to flaunt his freezing-cold veins to the world. But for now, just finish out strong. He’s got the Nets right on the brink of a landmark season if he can give them 10 more great days. He likely won’t get third team All-NBA, but he will get himself a max contract in the offseason. Blake Griffin keeps finding ways to get better as a basketball player from year to year. This season he’s shooting better from three-point range than Kevin Durant. In the playoffs, Blake might have an opportunity to lead an upset. As a vet with plenty of postseason experience and the skills to be the best player on the floor any given night, the door is open enough for him to crash through so he and Andre Drummond can treat their opponent like a China shop in need of suffering useless destruction. He’ll be needed to step up as a playmaker, shooter, scorer, rebounder and defender. And to think, we use to say all he did was dunk. He’s taken charge of the team and now he and Dwane Casey can show Detroit made the right bets for the future in those two. The forward spot is so loaded that he’ll have a hard time cracking the real All-NBA teams, but he’ll probably trade that recognition for more playoff success anyway. No matter how this season ends for Orlando and how the offseason goes, the Magic have a piece that can either guide them into the future or will keep them in NBA purgatory. DJ Augustin has held his own this season and is a big reason why this team is competing for the postseason. But going forward, that needs to be Markelle Fultz’s job. And if it isn’t, the Magic will be relying on another “He’s still in the league” veteran to run the show. Is Jerryd Bayless looking for a bigger role? This is really going to come down to the last game of the season. Dwyane Wade, fighting for one last playoff run with Miami. There’s going to be a lot of tears April 10 in Brooklyn. Why does Wade always have to make everything so dramatic? His production doesn’t always coincide with his plus-minus and net rating, but Demar DeRozan has been a stud this season. He’s taken over more duties as a distributor and is at the forefront of a top-10 offense. He could still use some work as a defender as the Kings showed Sunday when they went at him, but his role in this offense and the work he has done on that end far outweigh the bad. LaMarcus Aldridge will probably get some love, just like when it came to All-Star voting, and he should. LA has been dominant this season leading the team. But without DeRozan, this whole operation looks much different. If he can give us something to remember in the postseason, his narrative will change forever and he will be linked with Gregg Popovich for his success. But another bad outing in April and people will forget all the good he’s done and talk about how this team didn’t shoot enough threes. Owner Josh Harris wants big things from the team as a whole this postseason. If Ben Simmons leads that charge, there’s no telling where this season could end. His one-point game in Boston will forever live on and define his playoffs until he does something so phenomenal you have to look past it. Now his chance to prove just how great he is and make questions about his shooting nothing more than daytime talk show fodder. This applies to the playoffs as well. Something tells me that we’ll have a reason to chuckle about the Nuggets’ ultimate demise. And it’s possible that reason could be Nikola Jokic repeating that kind of behavior in an elimination game. No matter what happens this postseason, LeBron James is not going to be the guy to end the Raptors’ year. That doesn’t mean this is for sure the year Toronto finally gets out the East, because there is still plenty of competition. But, at least the ending is going to be different than the last three years, and everybody loves a little change. Especially when it involves an adversary. What else is there to say about Portland besides, “damn”? I don’t mean this as an insult, but I think there’s something in the water out there. This just shouldn’t happen to one franchise over and over. Get better soon Nurk. You were playing great ball and it would have been fun seeing this team looking to avenge its playoff disappointment from last season. Rudy Gobert is just different on defense. There’s a chance in the playoffs he gets schemed out of being as successful as he can like how the Rockets were able to last year, but there is also a really good chance he shows just how amazing he is on that end and finds a way to make that a non-issue. The numbers and name recognition Karl-Anthony Towns possess will likely boost him over Gobert in the end for third team All-NBA like the All-Star Game, but if I was starting a team, I’d snag Rudy over KAT. He’s not the shooter or pure offensive threat of Towns, but he plays his role and can elevate team on defense in a way only a handful of guys can. This postseason, he should show just how much he has grown this year and how much better he was since he won Defensive Player of the Year. The focus will go to Donovan Mitchell, but Gobert will be the difference if this team makes the Western Conference Finals. I don’t want to see just how mad you all are going to get if Kevin Durant joins Michael Jordan and Shaquille O’Neal as the only guys to three-peat as Finals MVP. Unless they lose, this whole season will be worthless to a lot of people. And they probably won’t lose. The Clippers’ bench is on track to score the most points of any bench since the league started keeping track of those numbers. Popular opinion says not having at least one All-Star will be the main reason this team’s season will end in the first round. But maybe Doc Rivers can find a way to utilize his depth and exploit a matchup and advance. He’s got a lot of pieces to work with. If the season ends with James Harden lifting another MVP trophy after defeating the Warriors en route to capturing a title, there will be a large contingent of people in Houston looking to remind everybody what they said last May when a Chris Paul hamstring and 27 straight missed threes stopped their run. If the season ends with Harden not playing his best ball, Paul on the shelf with another playoff injury and more people questioning if Mike D’Antoni can win deep into the postseason, there will be a strong contingent of people from places that aren’t Houston looking to remind people what they said last May. And when a team has to deal with this many this late in the season, and there is still the chance of getting a decently difficult first-round matchup with either the Nets or Pistons, it makes it feel like an early exit is way more likely than we would have thought a month ago. The Bucks probably get out the first round barring a total collapse, but even a second-round departure is far too early for this squad. But that’s what injuries can do.